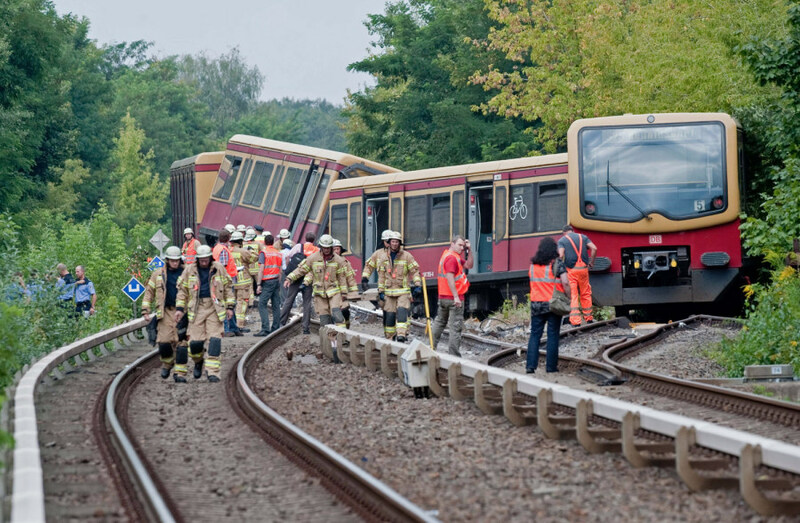 Firemen and policemen investigate the scene where Berlin city train (S-Bahn) derailed, Aug. 21, 2012. Five people were injured as the train derailed between the Tegel and Schulzendorf train stations. An S-Bahn city train derailed between the Tegel and Schulzendorf train stations in Berlin, Germany, Aug 21. 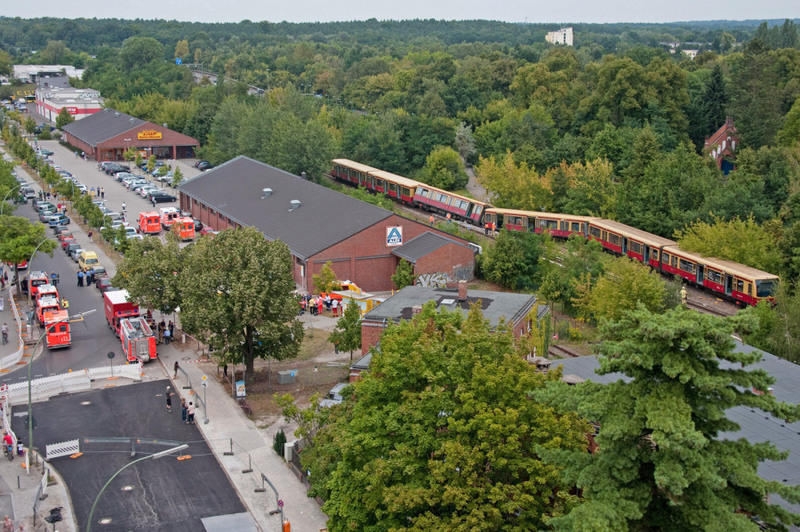 At least five people were injured when a Berlin city train (S-Bahn) left the tracks. According to The Local, approximately 50 people were aboard the train when it derailed. Read the full story.